Contribute your heart and hands and immerse in service together with us as we continue to lay the foundations for Paititi’s majestic sanctuary. This Work Study Service session will run for two month however participants are welcome to join for either one or two months. 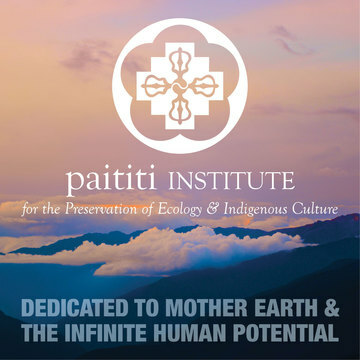 As a work study service participant at the Paititi Institute you will be coming to be a part of our community and will be involved in the day to day functioning including preparing community meals, participating in community meetings (both relating and strategy), master planning, hands on project work, personal transformation work and more. Paititi is a labor of love and grows through the contribution of its residents, short and long term. Here, our work is our prayer and as a community we practice presence, compassion, selfless service and hard work for the benefit of all beings. We work together to cultivate the highest view – a perspective where the welfare of all is considered from the wish that all beings will be free from suffering. 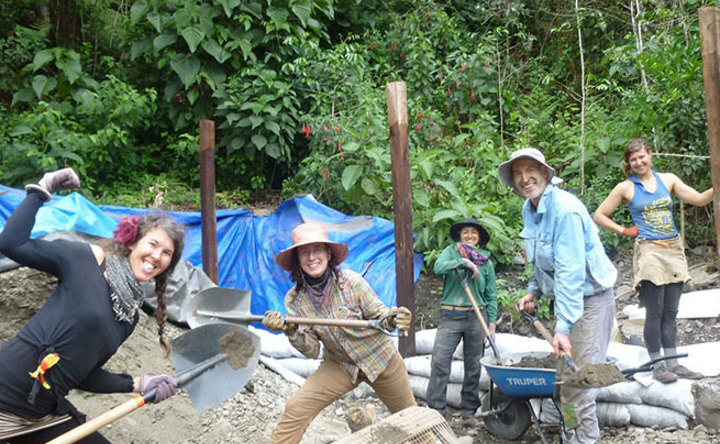 This immersive permaculture service program will be under the guidance and leadership of a dear friend and renowned permaculture designer and teacher, Andrew Jones as well as our one and only wilderness skills, trail building, jack of all trades wizard Anthony Bossler. Our time will focus on deep observation, master planning, and pioneering infrastructure. We will be meditating, making offerings, cooking, planting, hiking, exploring, drawing, mapping, visioning, designing, building, transforming and healing landscapes inside and out. As a community we work to harmonize with the natural cycles of the day, the land and the seasons. Most days we will wake at sunrise and will head to bed in the early evening. Early mornings are the best time to get hard work done before the heat and bugs. We make an effort to share in daily practice and daily check in meetings. The kitchen is always a busy place and the service group will rotate through kitchen service. We will focus on a number of community projects during this time – many of which will be planned together with the service group in our weekly strategy meetings. Some key elements we expect to focus on include planting vegetable gardens and trees, working on water flow designs for the property and implementing portions of the designs, emergency training and planning, natural building projects (working with stone and adobe), remodeling/refinishing existing structures and overall master planning design process. 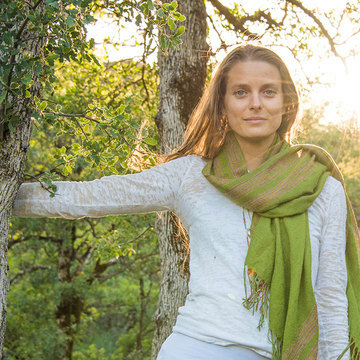 Participants will have the opportunity to immerse into the natural cycles while learning to collaborate with a community though uniting in shared heart and vision. As an essential and core part of this process we will be exploring deeply what it means to be stewards in general, and specifically to be stewards of this land. The ancestral indigenous wisdom and sacred plant ceremonies will help unlock in each one of us the unique ability to channel the universal love of the Mother Earth and Father Sun as a union of Compassion and Wisdom. Be prepared to have your comfort zone challenged. Work can be hard, sweaty, dirty but also deeply fulfilling, grounding, fund and a great way to gain knowledge and a deeper connection to the inherent true nature in all of us. It is required to participate in at least one month of this program. Participants may not have the opportunity to leave the center during this time except in the case of an emergency and should arrange their personal affairs so that it will not be necessary to leave. There is cell service on some parts of the land. Each participant will have one personal day a week. Participants should be healthy and in good physical shape. During this program you will be on your feet all day and will do a lot of walking in the mountains. At this time, while the road is still being built, there is a 2+ hour hike into the property. In addition, many tasks on the property itself involve steep ascents and descents. There are many unknown elements as we embrace this move to the new land. We will be working with simple and young infrastructure. Those who join should be willing and able to embrace this with a positive, solutions-oriented attitude. Participants should be comfortable living in a tent, taking cold showers, living with no electricity, solving unexpected challenges, and hiking steep terrain. Work study service participants must be minimum 21 years old. 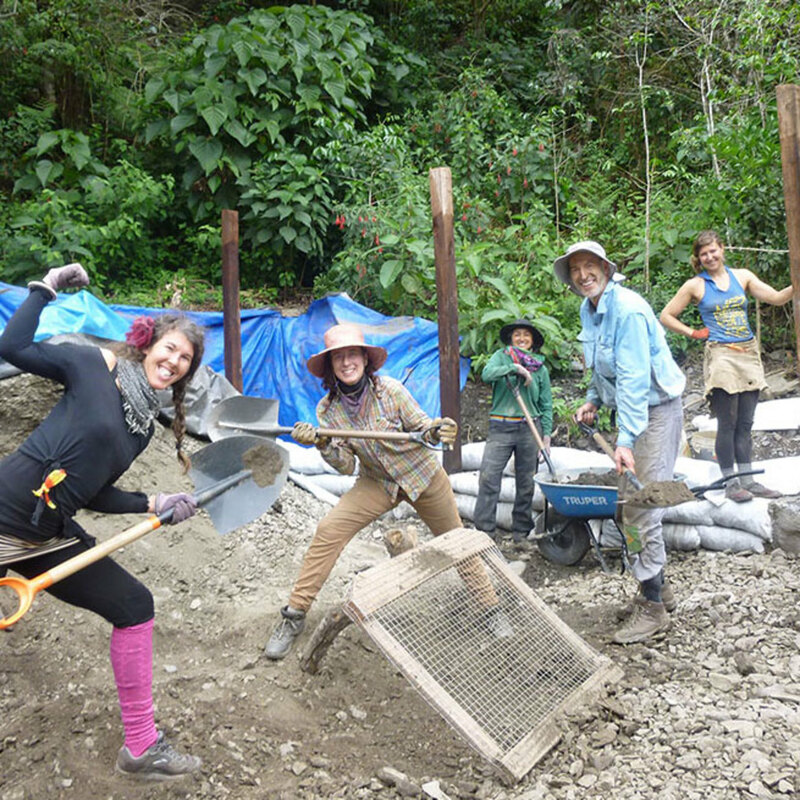 Previous completion in a Permaculture Design Course (PDC) is a plus but not required. (Please note this is not a PDC). All participants are required to have personal travel insurance with emergency evacuation coverage. More details can be found in the info and prep document. Participants are welcome to join for one or two months. A non-refundable deposit of 30% is due in full at the time of registration in order to hold your space. If we are not able to accept you into the program, the deposit will be refunded. Some scholarships are avalible for local Peruvians or others from third world countries with limited resources. 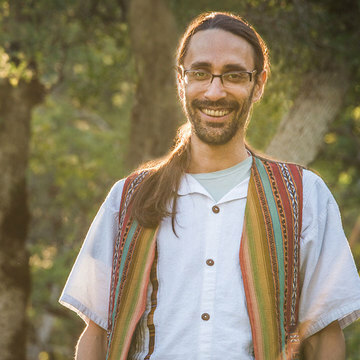 Andrew Jones is a permaculture designer & teacher and sustainability/wellness consultant. He has been on a lifelong journey to integrate his path of right livelihood with his interests and passion for cultural exploration, nature and sustainability, wellness, and a dash of adventure. This has led him to gain a B.Sc. in ecology and a postgraduate diploma in Environmental Management and Development. 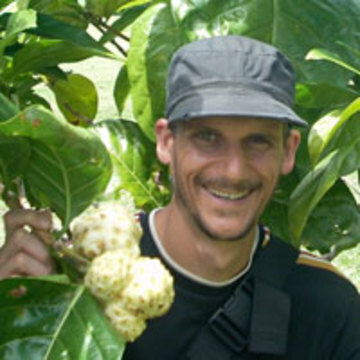 His career path has incorporated humanitarian aid, international development, Permaculture and several environment and health based business ventures. A native of Australia, he has worked over the past 20 years in the Middle East, Pacific Islands, Asia, Europe, North America, Mexico and Peru. Initially fascinated as a high school athlete by the link between nutrition and performance, Andrew has, through study and testing, gained a holistic perspective on the key components of true health as they relate to the mental, emotional, spiritual and physical. Nutrition as a keystone for health has been a central focus, as well as the importance of cleansing the body in order to facilitate true healing and abundant energy. Andrew has co-founded an ecological living and advancement center in Baja California Sur (www.bajabiosana.org), and, more recently, an ecological business development company focused on the bioregion of southern Baja (www.bajabioregional.com). Anthony Bossler grew up in the Midwest and has always had an affinity for nature. Anthony received a BS degree in Acting/Directing for Theatre and Film. It was during his studies that he began to discover more about the unseen spiritual world and our relationship to it as human beings. After graduating, he entered the world of broadcast news for a short time but realized his path ultimately led elsewhere. In 2010, he gave it all up, including most of his possessions and moved to the woods of Maine to work on hiking trails. Being in nature 24/7 changed him along with learning about sustainable farming and simple living. After that he was hooked. 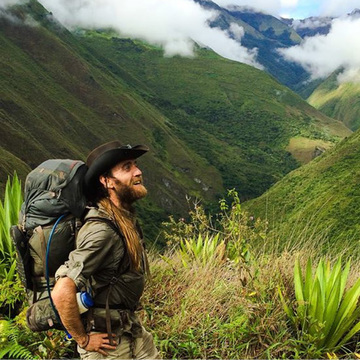 He’s been living out of a tent and backpack ever since; working and playing in the deserts of the Southwest US, the tropics of Hawaii, the forests of the Pacific Northwest and Alaska. The stars aligned and his journey eventually found him at the Paititi Institute. Prior to Paititi, he was working for a nonprofit that teaches youth and young adults stewardship of the environment, leadership and communal living, and outdoor skills. He combines his outdoor living skills, trail building, wilderness first responder, and jack of all trades talents to help out at Paititi. Ever a consummate student of the universe and a calm, patient presence; he can be found smiling, listening, loving, and wandering the mountains while watching the hummingbirds dance.